James Neiss/staff photographerNiagara Falls, NY - It seemed like mid October not September 1st as Mike Roulley rakes the piles of leafs on his 74th Street lawn. "I've had this problem since I moved here with these sycamore trees shedding all summer. 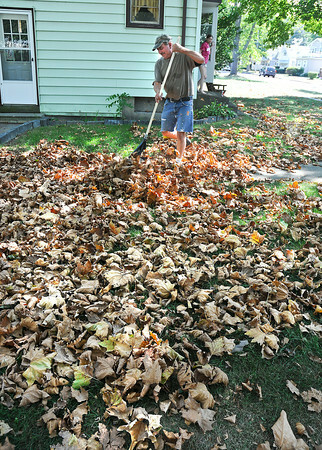 I have to rake them up so I can cut the grass," said Roulley.